Are you curious how new capabilities in SQL Server will impact your applications? Download and test SQL Server 2017 Developer Edition, a full-featured free edition, licensed for use as a development and test database in a non-production environment. 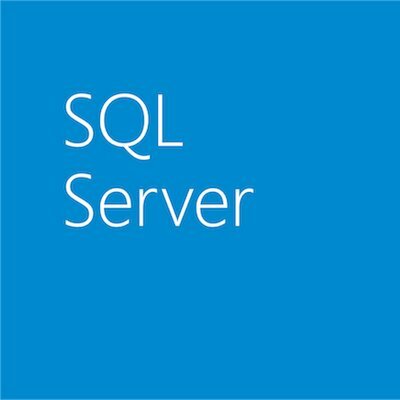 You can browse and access SQL Server code samples at GitHub, and when you’re ready, check out your options to move to production. With SQL Server 2017, you can build modern applications using the language of your choice, on-premises or in the cloud, on Windows, Linux, and Docker containers. Your mission-critical programs will benefit from industry-leading scalability, performance, and availability. And SQL Server 2017 is the only commercial database with AI built-in, enabling you to build intelligent applications using scalable and highly parallelized R and Python. Read the datasheet and white paper for more details. If you’re a Linux developer, SQL Server 2017 brings the database you want to the platform you love—and don’t just take our word for it. Browse technical FAQs from your peers in our quick start guide. SQL Server 2017 Developer Edition does not include a licensed OS, such as a license for Windows 10 included on a new laptop. 90 to 180 day free trials of Windows and Windows Server are available on the TechNet Evaluation Center. Want to stay ahead of the game? Find out about the SQL Server 2019 Community Technology Preview (CTP) in our free on-demand webinar and sign up for the Early Adoption Program. SQL Server 2019 makes it easier to manage a big data environment and provides key elements of a data lake—Hadoop Distributed File System (HDFS), Apache SparkTM, and analytics tools—deeply integrated with SQL Server and fully supported by Microsoft. Easily deploy using Linux containers on a Kubernetes-managed cluster. Read the white paper to learn more.